Commercial LED lighting and fixtures from uSave LED offer cutting edge “Green”, energy efficient, commercial LED lighting solutions featuring the latest technologies, quality tested and proven, enabling our clients to save money and our environment. We manufacture, assemble, specify and supply the best quality, highest rated state-of-the-art LED lighting products. Commercial LED lighting and fixtures from uSave LED take the guesswork out of your lighting decisions. We survey the exterior and interior of your property and provide a bulb to bulb comparison between your old bulbs and your new uSave LED bulbs. Call (855) 672-7020 to speak with one of our LED experts. We offer a free energy study of your lighting and lighting needs. We match these requirements to our corresponding products, including commercial LED bulbs and fixtures, and present the finding in a clear and concise report including specification sheets of the products, warranty options, financing options, government incentives and potential tax deductions. We also offer Photometric Modeling services. Results vary based on electrical costs and the LED commercial lights chosen, but you can anticipate a payback of your investment in one to three years. With our 100% financing programs, your annual savings will exceed your financing costs making your new LED light bulbs paid for by your savings. We participate in all state, local and federal energy efficiency rebate programs nationwide. These programs further reduce your cost of LED lighting. Ask us about our commercial LED lights for sale and we will guide you through the process. All commercial LED lighting and fixtures from uSave LED have been thoroughly tested by independent labs and engineers to ensure that the products exceed government requirements. 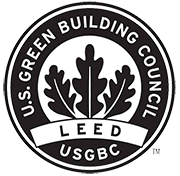 All products are certified by UL, Energy Star, CSA, ETL , Design Light Consortium or other labs providing you the peace of mind that you own the finest products and enabling you to receive lucrative rebates. Commercial LED lighting and fixtures from uSave LED offer bright, long lasting, energy saving industrial LED lights and fixtures that make sense. These bulbs are energy efficient (65-90% savings versus traditional bulbs), long lasting and labor savings. 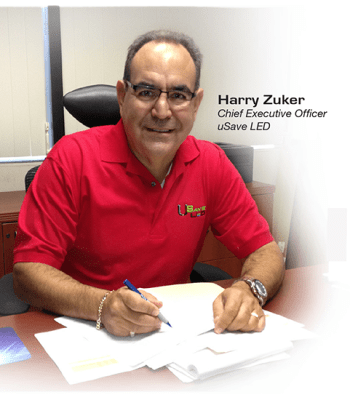 Saving starts day one after you install uSaveLED commercial LED light bulbs.